$49.95 Out of stock. Email me when new stock arrives. 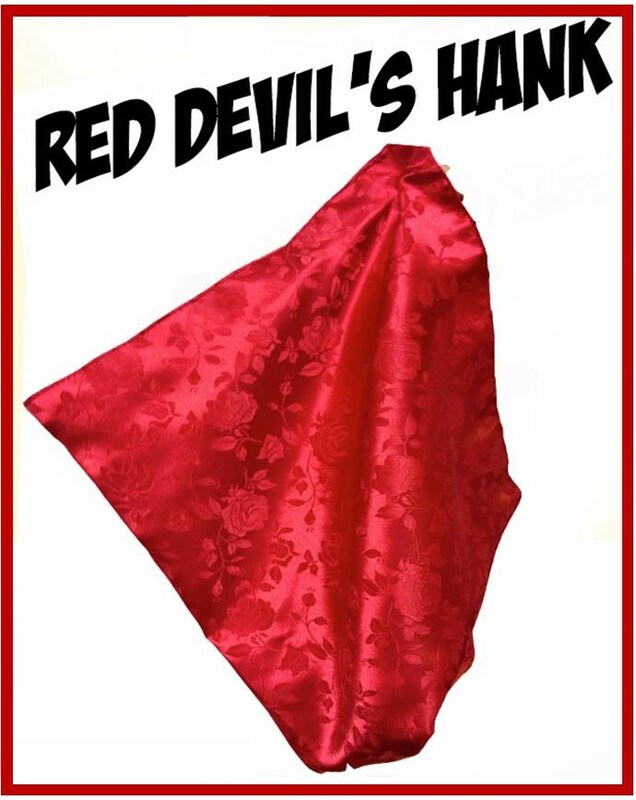 This new Red Devil’s handkerchief is a GIANT 30” square. It's properly made with the NO SAG feature. This means you can use objects much larger and heavier than with the old-fashioned Devil's hank. It can even be used as a card forcing device by laying the cards on the hank, folding it up, having the spectator reach "inside" the hank to pick "just one card." They'll never know that they actually reached inside the secret pocket and extracted their "fair choice" from a one way deck! The Red Super Giant Devil's Hank may be available in several other colors and patterns on this site. Check out the recommended products below. Get serious about your disappearances with the Super Giant Devil's Hank!